The Republican majority on the House Intelligence Committee, led by Chair Devin Nunes, is out of control and you, as Speaker, have the authority -- and responsibility -- to rein it in. 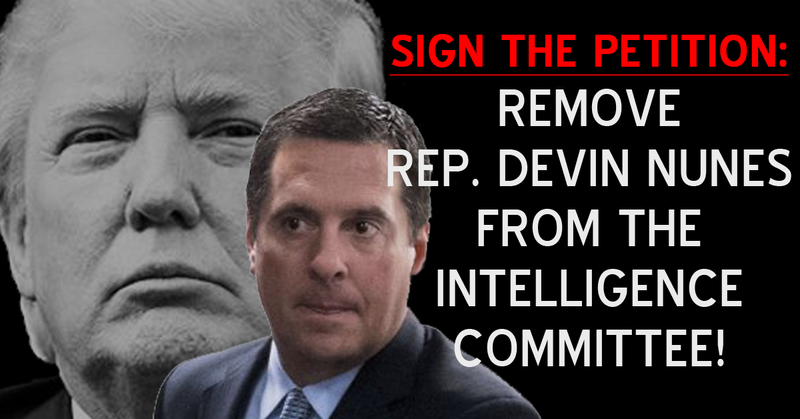 Rep. Nunes has shown that he cannot be trusted with sensitive classified information and must be removed not only as Chair but as a member of the Intelligence Committee without delay. The specious memo by Rep. Nunes alleging misdeeds by the FBI in the Russia investigation, that the Intelligence Committee voted along party lines to release, is just the latest in an ongoing campaign by Nunes to cover for this president in a way that appears manifestly corrupt.